Find hotel near Max Tattoo Studio At Khao ..
How about coming to Bangkok and recreating a scene from the Hollywood flick Hangover 2?! Of course, minus all the trouble! Stu who gets a tattoo in the city, has certainly elaborated Bangkok’s tattoo parlour scene. Counted as one of the best tattoo parlours in business, the Max Tattoo Studio At Khaosan Road has got to be on your list of thing to do in Bangkok whether you love tattoos or don't! This place can be a delight to even just look at. Been in the industry for over twenty-odd years, this place definitely deserves a visit. 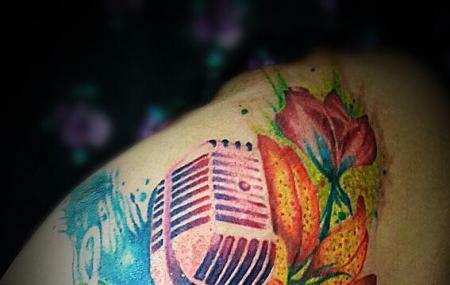 How popular is Max Tattoo Studio At Khaosan Road? People normally club together Laksameenarai Guesthouse and On Lok Yun while planning their visit to Max Tattoo Studio At Khaosan Road. Excellent, professional service from beginning to end. At the time of making the appointment, they advised me that my tattoo artist (Ton) would get in touch with me in advance to discuss the tattoo. That's exactly what happened. By the time of my appointment, Ton had designed a beautiful tattoo which I was incredibly happy with. The studio itself is clean, warm and inviting. Ton also did a great job. My 1.5 week old tattoo is looking stunning and healing very well. Would highly recommend Max tattoo . Had a really great experience with max tattoo on our last day in Bangkok last week. Artists at max tattoo were really friendly and welcoming! The shop is super professional and clean and I had no doubts about getting my tattoo here, especially after seeing so many of the great artists work and hearing about many positive experiences from all of my friends back home. Artist were helpful and made sure I was completely happy with my tattoo before we started! Fiat was great and so pleasant, even managed to help my friend to get a small tattoo which she really wanted but was scared. We are both super happy with our tattoos! First tattoo ever!!! My friends and I wanted to get matching tattoos. We were lucky enough to have guys at max tattoo gather our ideas and create something that spoke to us. All 4 of us were unanimously happy with the outcome. After the drawing was made by the artists at max tattoo cleaned and setup his workspace. Has a very tranquil yet powerful demeanor. Super professional and respectful. The rest of the staff was also very helpful with choosing our right artist, informing us of the process and scheduling appointment times. I have one more tattoo that I designed myself and want to get in the future. There is no question or doubt in my mind that I will be taking a flight back here again . Highly recommend at max tattoo .